Home » Lake Wales employmenttitle_li=Lakeland Employmenttitle_li=Polk County employertitle_li=Polk County employmenttitle_li=Polk County Staffing Servicetitle_li=Winter Haven employment When Should You Update Your Resume? When searching for a job, your resume becomes your identity, and is often the first impression you’ll give to potential employers. It goes without saying, then, that it’s vital to make sure your resume is well-put together, properly written and formatted, and updated on a regular basis. 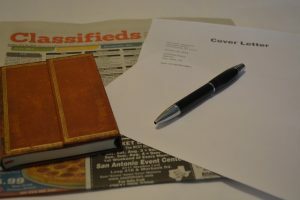 How regularly one should update their resume though is a question that comes up often among applicants, and we would like to offer a few tips that might help you determine when, and how, you should tailor your resume. First, your resume should be updated annually regardless of whether or not you are applying for a new job. Often, a resume provides information about years in service at current places of employment, and you’ll want to update that each year as you continue to work at that particular job. Updating your resume annually also gives you a chance to insert any new promotions, trainings, or higher education you’ve received as they pertain to your employment. The beginning of a new year is a great time to take care of updates to your resume since it’s “starting off fresh” and will get it off your mind for the remainder of the year. If you are applying for new jobs frequently (such as during a season of unemployment), your resume might need to be updated on a regular basis. Weekly, or even daily, edits might need to be made to your resume as you tailor it to meet the requirements of each specific job application. For example, experiences that are completely irrelevant to the position for which you are applying might not necessarily need to be in your resume. However, ALL previous employers need to be listed, as does any higher education and training you’ve received. Keeping your resume specific to the job you want is vital to standing out from the crowd. Finally, updating your references on your resume should be taken care of each time you update the resume (annually) or if the information for chosen references changes at some point. If a reference contact changes addresses, phone numbers, or places of employment you’ll need to switch out that information with the new details. If you choose to use better, or more current, references, you’ll need to change those out as well. We hope this helps you better determine when, and how, to change up your resume to meet your needs this coming year. If you are tired of the hassle of applying, interviewing, and waiting for jobs in and around the Polk County area, PHR Staffing Solutions is here to help. We take the work out of finding a job, since we manage everything from the initial application process to the final interviews. We match you with employers that have openings on their staff where you will feel accomplished and appreciated, and our ultimate goal is to have happy customers on BOTH ends of the hiring process. We work with companies throughout the Central Florida area, and we have a job that’s right for YOU. Give us a call or visit our Jobs page to get started!